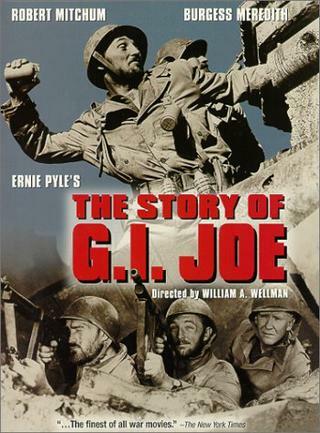 Click here for "The Story Of G. I. Joe"
Released in 1945, director William Wellman's "The Story of G.I. Joe" was based on the newspaper columns of war correspondent Ernie Pyle. Many 'soldiers'appearing in the film are actual veterans of the Italian campaign. 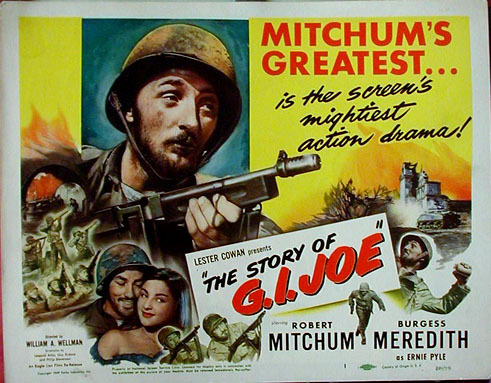 Mitchum stands out as the battle-weary "G.I Joe", loyal to his men and his duty and received an Oscar nomination for his performance.